Well you seem to have the knack of that! Top stuff. 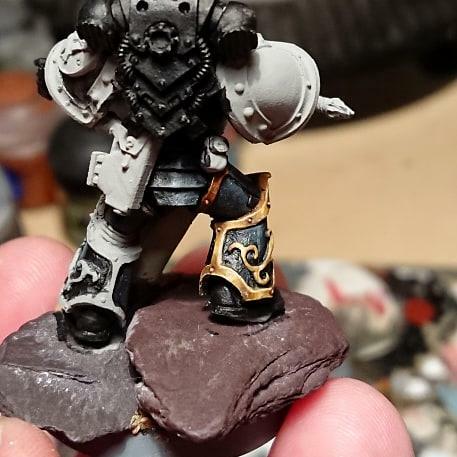 Those sandstone bases are really neat, and Sigismund is looking great. Quite looking forward to seeing Sig finished. 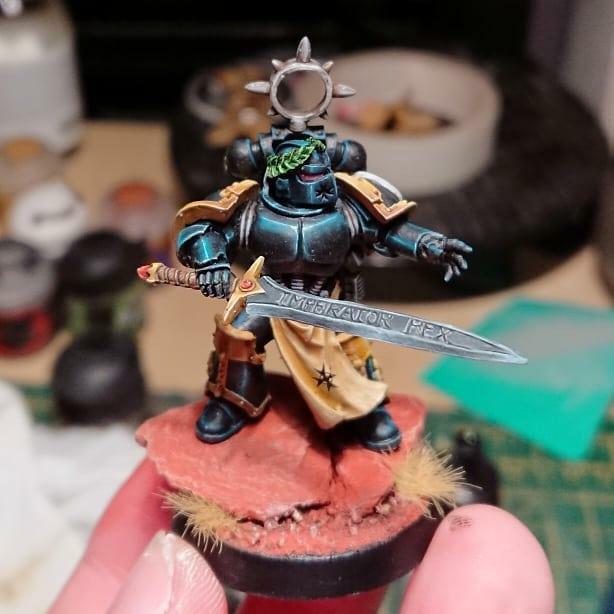 Loving the highlights on the black. Thanks both. 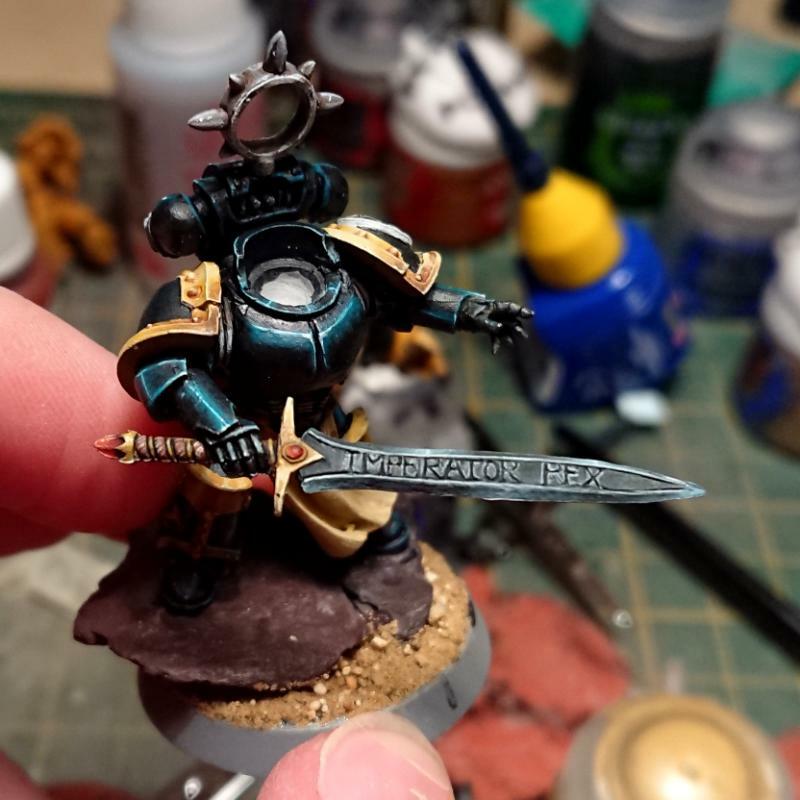 Question is, do I bother painting the under side of the sword...? Anyhoo, the next 5 Tartaros are ready for priming and will be completed as part of February's forum painting competition. Reckon I'll have to wait until Saturday though as its been kinda cold by the time I get home from work in the evenings. I did plan to retrofit another 5 Tartaros with combi weapons but I've managed to lose the pack I bought at WHW: £15 wasted! 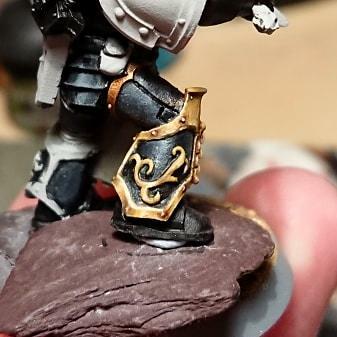 Of course you should paint the bottom of the sword. If you don't it is the first thing that someone will pick it up and notice. Yeah I kinda knew what the answer was to the sword (I was just trying to get away with less work!). Leviathans are cool looking. You would paint it really well. Just throwing that out there. Well it's nice if you to say so, thanks! In fact, I took a trip to WHW today and bought a Leviathan with a siege claw and a grav flux bombard... 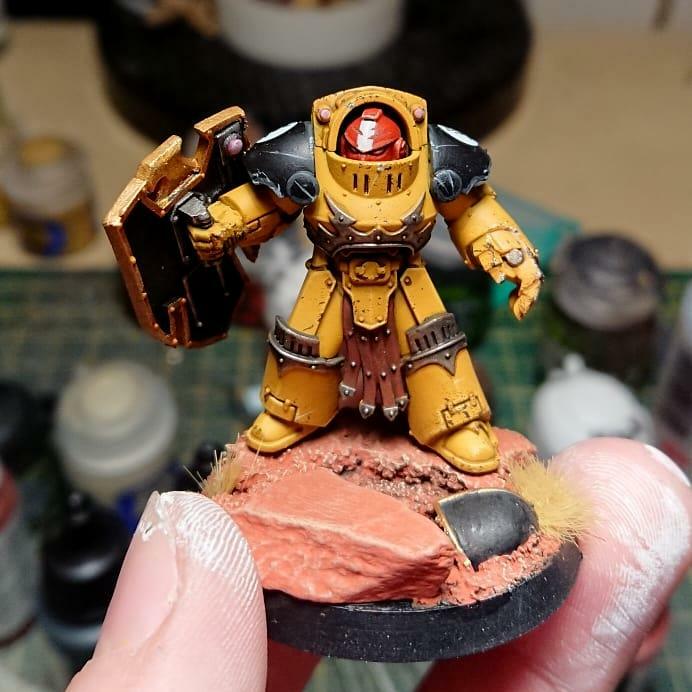 I also got my other Terminators primed while the going was good (even if the wind tried to blow them all over the place). 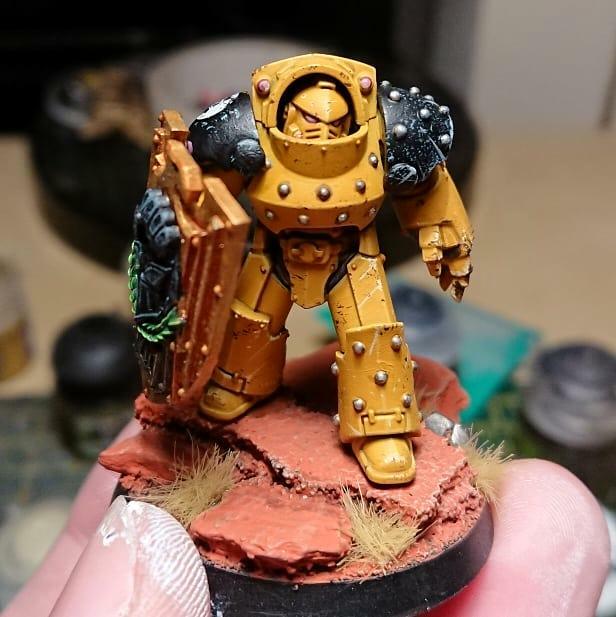 Following on from my previous post, I've been trying to find examples where someone has put an unfortunate space marine under the foot of a dreadnought: I'm having trouble finding anything that looks half-decent. 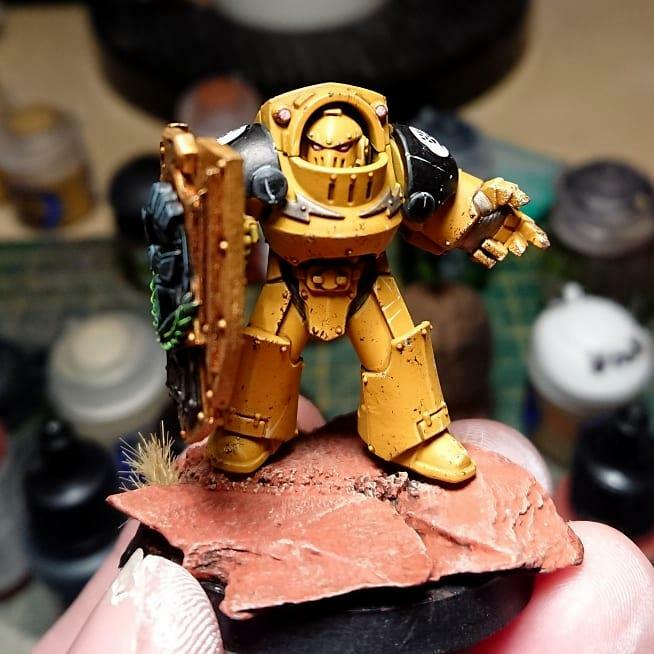 I've got an image in my head off what I'd like to achieve but not sure if will look any good in practice: essentially, I think having a marine hald buried in the base would make sense, as a Leviathan will probably have enough force to crush power armour. It does mean that the rock/ground underneath is subject to cracking given the force involved. 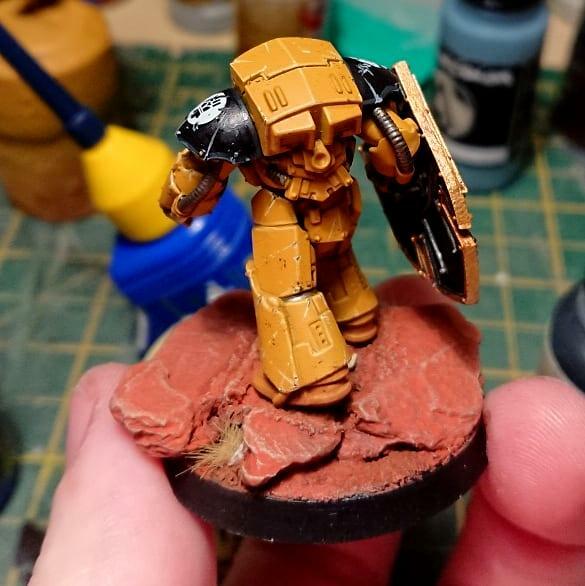 Does anyone have any good examples of squished marines? I think the best version of that would be to have some masonry or other debris built up around the foot/Marine. That gives you some height to sink the Marine parts into without having to cut into/beneath the base, and can hide any unseemly joins and/or spaces where actual parts can't fit (for instance, the end of an arm and an upper torso/head without having to have the full arm/shoulder pad in between, just cover than in rubble to hide the gap). To quote Sgt. Apone: Absolutely badasses! Excellent stuff as always. 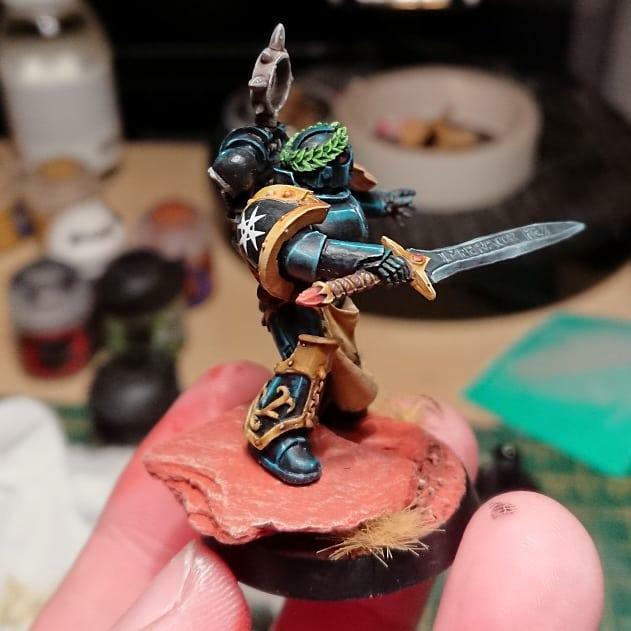 The termies have such a great sense of weight and presence to them. 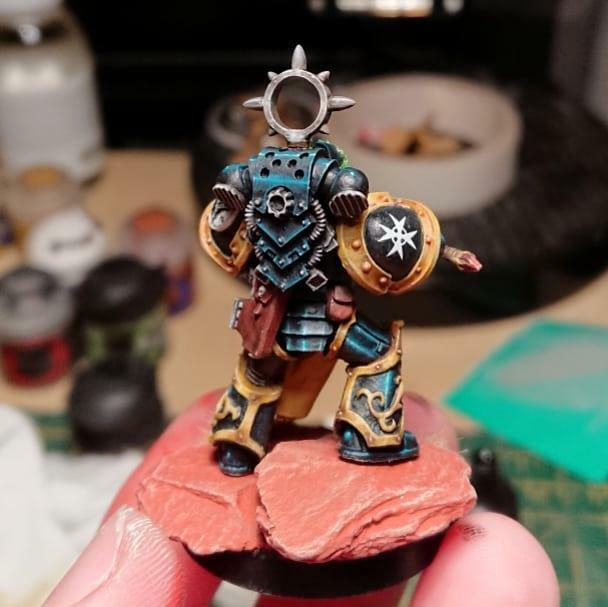 If I were to be picky for a minute, however, I would suggest a final, extreme highlight on Siggy's NMM gold areas. 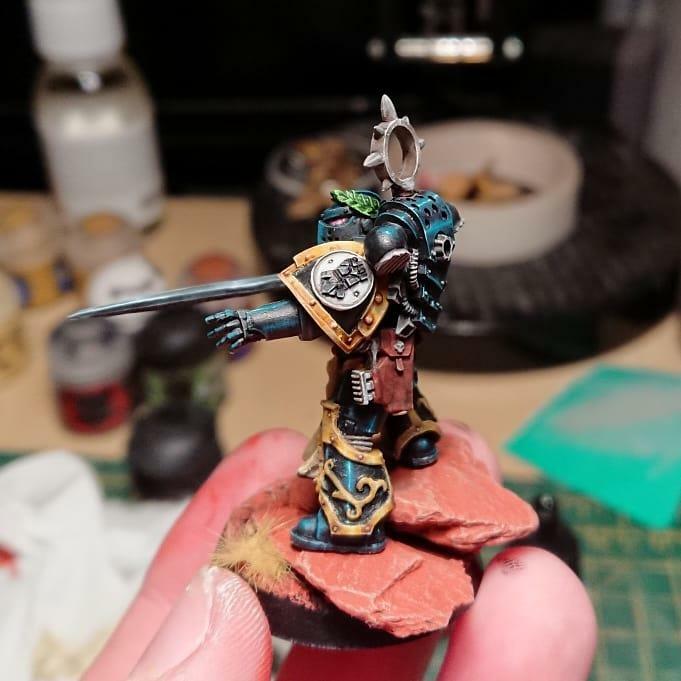 It looks kind of weird to have that really stark blue highlight on the back, but no matching bright point on the gold. 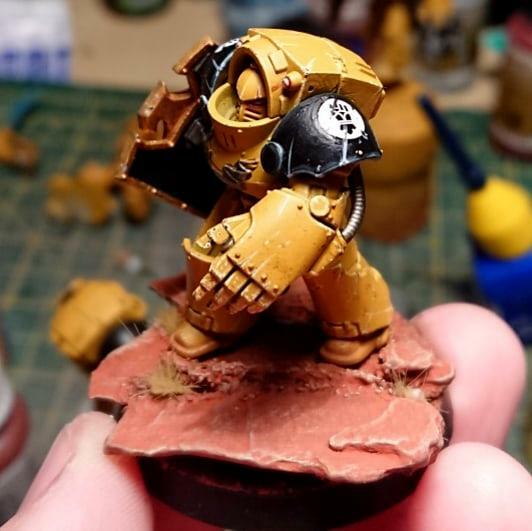 I'd maybe continue those highlight lines with a very bright off-white into white on the trim, just to keep the highlights consistent and make sure the NMM pops as much as the black areas. That is just a technical nitpick though, so please do ignore me if you're happy with it! ELLLLLNIBBBUUUUUUUSSSS!!! 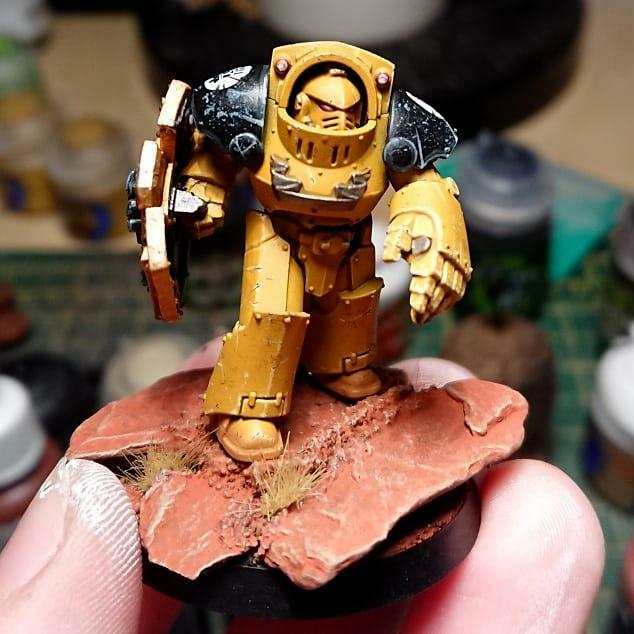 So good to see you back hobbying mate! and what a great re introduction for us :-) I am loving the clever way you approached the black, it looks fantastic! Yes indeed, the hiatus has ended and I'm fully locked into the Horus Heresy. Lots of my mates play it and are always going to WHW so thought I'd join the band wagon.